While most of us know Chia from the popular and peculiar Chia Pets, Chia is far more than a humorous ornamental plant. Chia (Salvia hispanica) is one of the best-known plant sources of healthy fatty acids, which account for almost two-thirds of Chia’s total fatty acid make-up. 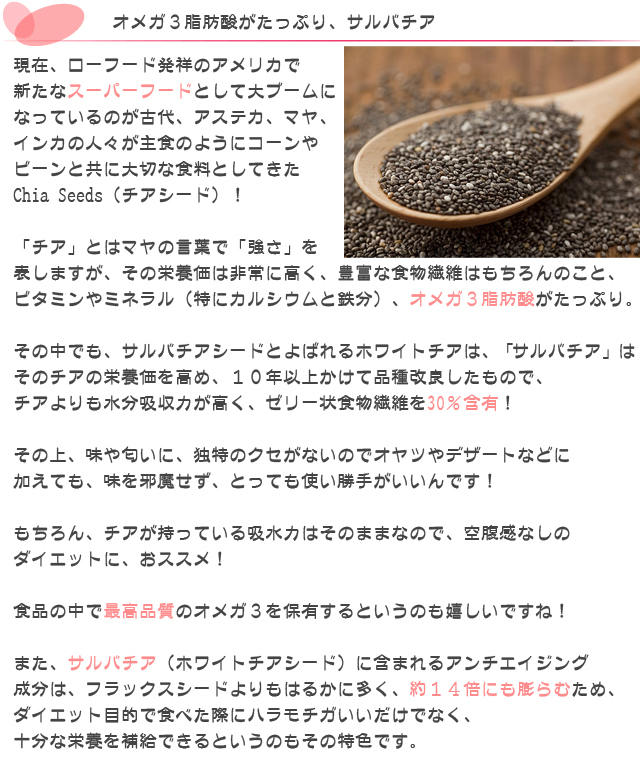 Chia Seeds are also an excellent source of fiber and a good source of calcium. Copyright (c) 海外サプリ直販店アーウェル all rights reserved.